With changing lifestyles and the need for different environments to relax and unwind- whether manmade or natural, we have noticed a trend where many homeowners are looking to incorporate ponds and fountains in their homes or businesses. 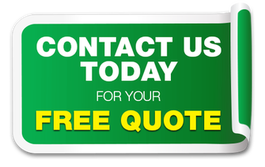 We are pond and fountain experts in Pasadena MD who are trusted because of our professionalism and integrity in the local industry. We have a special approach our customers and we treat them more like friends and neighbors. Our goal is to help our customers not only design and develop ponds and fountains, but also in servicing, maintaining, and repairing them. Our expertise in water quality, evaluating, and balance is unmatched and as such you can trust us to create a perfect water quality environment for your plants, fish, and fountains. Regardless of the make and model of your fountain pumps, pond, and filters, we can help you service your facilities thanks to our wealth of experience. We have handled a variety of custom made pump and filtration equipment as well as done upgrades and installations in a number of homes. Our team consists of liner and concrete leak repair specialists who can diagnose and rectify any leaks that interfere with the normal operation of your fountains. Over the years, we have saved customers thousands of dollars in unnecessary replacement costs by repairing their existing ponds. Garden fountains give your home an exceptional exterior décor and this explains why they are becoming significant features in modern day business and residential properties. Many of our Pasadena homeowners have renovated properties by fitting a fountain into their landscape. Garden fountains give your property aesthetic benefits, so you must consider the layout of your property before settling on the fountain design. The garden water fountains we install have a unique features that gives them durability and longevity. We also offer maintenance and repair services should you engage us further. 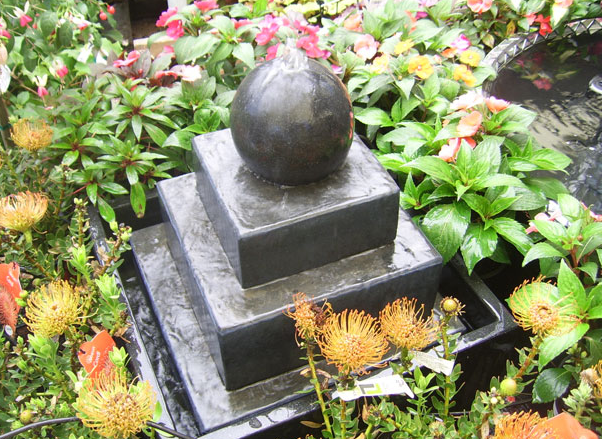 Wall fountains require minimal space compared to free standing fountains. You can make use of a vacant exterior wall which could either be a section of your fence or an extension of your house wall. Secondly, these fountains are also affordable because with just a few hundred dollars, you can have one installed by our Pasadena MD fountain professionals. Water has such a natural soothing quality which gives such a relaxing view. 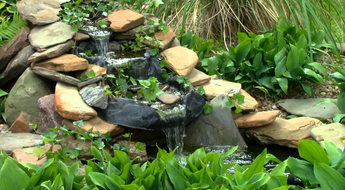 At Landscape Design Pasadena MD, we install elaborate filtration systems for ponds using top of the range technology and products to give the customer pet-friendly exceptional pond facilities. Traditionally, our customers come provide us with a list of their proposals and preferences. We then use that list to design a workable plan for their ponds. 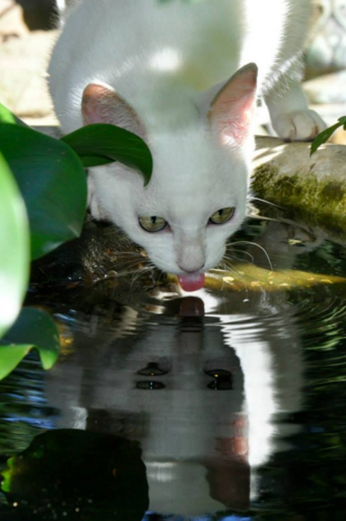 Since pets have become more of family members, having ponds that are safe for pets is something Pasadena homeowners seek out. Our water quality experts test the water to ensure it doesn’t affect your pets. The inclusion of a Koi pond in your garden or outdoor space can transform the exterior look of your property making it incredibly brilliant. 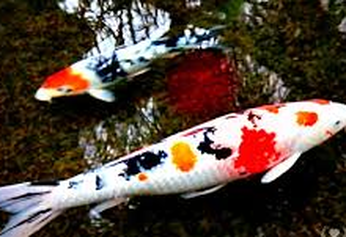 Koi is a type of Japanese fish which comes in many stunning colors and sizes. As they swim in a pond, their dazzling colors attract the attention of passersby. In order to have a complete and self-sustaining Koi pond, you need quality fountain designs and an excellent water system. 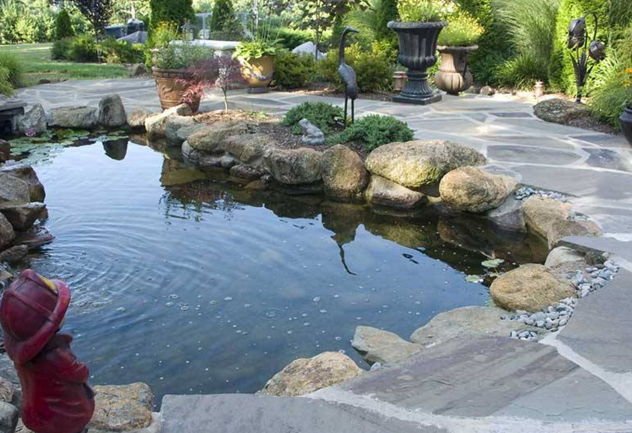 Our landscaping experts can integrate your Koi pond into whatever environment you want it installed. Your Pasadena backyard is one of the places you want to relax especially on weekends after a long and tiring week. It can also be a spot for entertaining your guests at home. 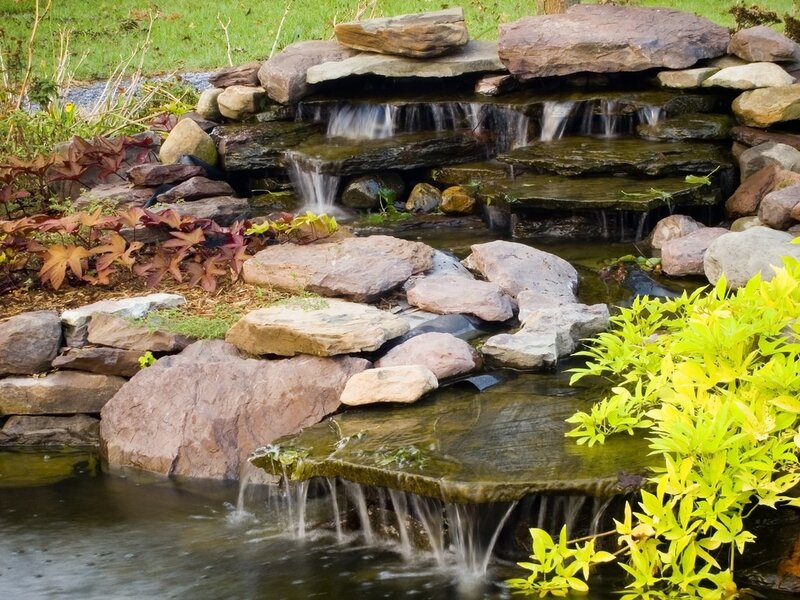 Backyard ponds easily complement the garden and landscaping thus making the environment refreshing and beautiful. The tranquility you enjoy as you sit and listen to the sounds of water is so relaxing. We carefully plan to ensure your pond blends into the environment and look more of a natural inclusion instead of an artificial installation. 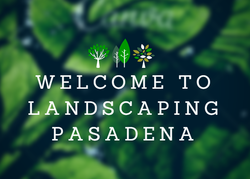 At Landscaping Design Pasadena, the customer is king and we ensure he receives exactly the treatment he is seeking. Whichever the design of pond or type of fountain he is looking for, we shall endeavor to deliver a facility that complements his property. In the selection of materials to use for pond and fountain construction, the tasks that follow thereafter until we handover the project to our customers, we ensure that we carry ourselves with integrity and maintain honesty at all times. These are virtues that have gained us loyal clients and created many word of mouth ambassadors from our customers!